Degreed Product Insider is a monthly peek under the hood to make sure you’re getting the most out of your Degreed experience. Back in the day, we were all taught to share, whether it was a new toy, afterschool TV time, or the last piece of cake. Today, sharing has become a new business model. We see people sharing their cars on Lyft, their homes on Airbnb, and their skills on Thumbtack. That mindset is even spilling over into the corporate side of the business with extended enterprise learning. Extended enterprise learning is a hot topic in the L&D industry — and for good reason. Successfully upskilling your customers, partners, and distributors is linked to increased revenue and decreased costs, according to a Brandon Hall Group survey on the topic. Because of this, about one-third of organizations have extended enterprise learning programs. Some LMS companies provide functionality to enable extended enterprise, but they are often nascent and secondary. There are, however, no Learning Experience Platforms that provide this capability — until today. We put on our black turtleneck and mom jeans so we can welcome you to the brave new world of extended enterprise learning on Degreed. With our recently released suite of capabilities, you can now usher your extended enterprise programs into the next generation. So What Is Extended Enterprise Learning Anyway? Increase learning across the employee lifecycle: Offer to preboard. Get your new hires a head start by providing orientation before their start dates. You can also offer résumé, interview, or networking tips to alumni employees to help them stay sharp for their next move. Connect your network of companies operates under a corporate umbrella: Teamwork makes the dream work. 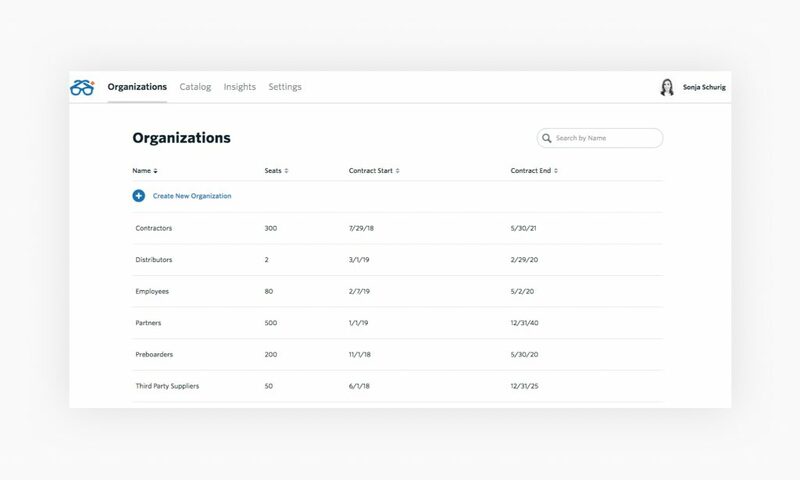 A global professional services firm is launching multiple organizations (aka “tenants”) within Degreed, that can use separate branding, settings, and permissions for each. Each tenant also has its own L&D team that manages the site for their audience, plus a Global L&D team that shares content across all member organizations. These organizations maintain their own catalog of content, including global content that headquarters shares across all the member organizations. For this use case, we allow social sharing among the sites, so employees at one organization can follow, recommend to, and interact with other employees at other organizations. Make learning a business: Better together. Harvard Business Publishing Corporate Learning is using Degreed’s extended enterprise capabilities to deliver their catalog of 15,000+ leadership and management learning resources to their clients using Degreed as the content delivery platform. This allows Harvard Business Publishing to focus on what they do best: create amazing content while leveraging the most engaging Learning Experience Platform. What Does Extended Enterprise Learning Look Like in Degreed? 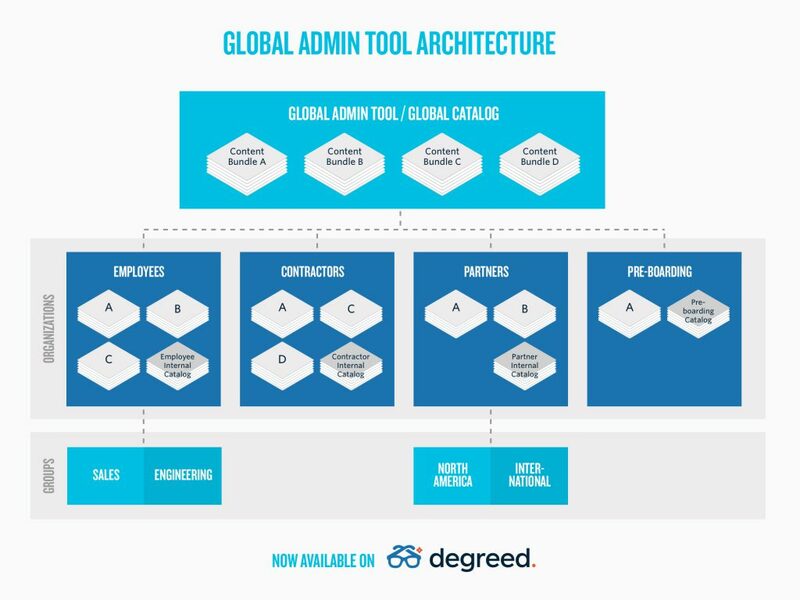 Manage organizations: If you have distinct populations of users that need to be separate from other users for privacy, security or administrative purposes, you can create and manage multiple organizations within Degreed from this tool. Manage content: Content can be shared across these organizations or walled off. Manage users: Users in each organization can be walled off from each other or enabled to socially interact based on your chosen configuration. Manage Configurations: Organizations can have unique branding or shared branding. Integrations and configurations can be customized for each organization. This solution is flexible with a bunch of options to meet the needs of each use case. If you’re looking for a next-generation learning solution for your extended enterprise program, Degreed has the answer. You get all of the Degreed goodness for your external audiences, plus easy tools to manage it all. That means: personalized recommendations, gamification, learning in the flow of work, the content aggregated from any source, and an amazing search, for your employees and now for your customers, partners, vendors, and beyond. Looking to see extended enterprise learning in action? If you’re already a Degreed client, contact your Degreed rep today for a demo. Not yet using Degreed? Sign up for a demo here.